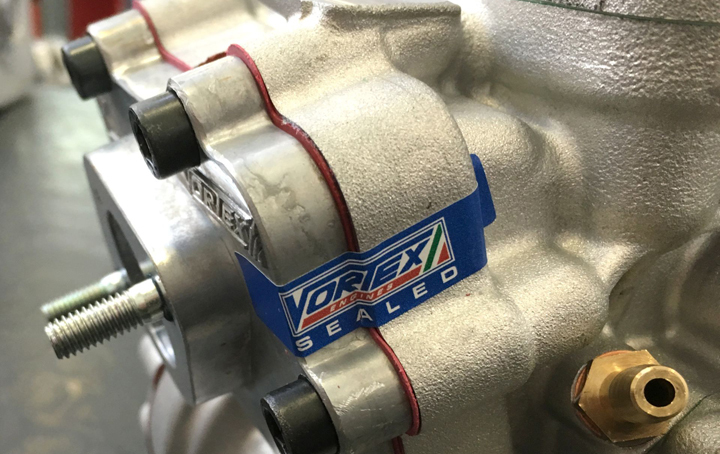 Following customer feedback and questions regarding the new MSA OK Championship, Strawberry Racing would like to clarify a number of points about the Vortex OK engines for the senior and junior classes. All OK engines come direct from the Vortex factory to Strawberry Racing (the official OTK importer for the UK). Each one is supplied with three seals and arrives from Italy in a sealed box. If your engine is delivered or sold over the counter by an OTK retailer, does not have the seals in place, Strawberry will replace the engine for another one. In this way you can be sure that your engine is as supplied from the factory and has not been tampered with in any way. Once you have purchased your Vortex OK engine, anyone can maintain the engine for you. It DOES NOT have to be maintained by Strawberry Racing. NB: Please ensure that when your motor is serviced and rebuilt that it confirms to the official championship fiche (www.msauk.org/karttech). NB: It is advised that no parts of the motor are machined. For reference, a sample engine can be seen courtesy of the MSA and (Chief Scrutineer) Mr Paul Klaassen. We would like to reassure ALL competitors, any Vortex OK DDS or DDJ engine hired to a customer, or used by a Strawberry Racing team driver, will be drawn by lottery on the first morning of each event at signing-on. This is done in the spirit of fair play and to further give assurance of parity and transparency. NB: All engines supplied will be marked on the cylinder head, cylinder and crank case as a set, to prevent the substitution of components. Also, Strawberry Racing will be happy to exchange any motor once during practice, should a competitor not be entirely happy with it. However, once exchanged, the original engine will not be returned.